Emerald City Supporters | Beer Blotter: Seattle based. World focused. The biggest dance there is. Friday June 11th marks the first day of the 2010 FIFA World Cup in South Africa. The ultimate competition in the world’s game. The pinnacle of all beautiful dances. The most watched sporting event on Earth. Yeah that’s right, we are talking about the month-long soccer tournament that happens only once every four years. 32 nations competing for a place in history. On July 11th, after finishing in the top two of the group stage, then going unbeaten through the knockout stage, the best soccer team in the world will raise the World Cup Trophy, and along the way, we will raise our glasses and cheer along. For the biggest soccer fans out there, like myself, nothing else will matter from June 11 to July 11. All normal activities, sleep included, will cease. To borrow from one of Seattle’s greatest soccer pubs, The George and Dragon, “Please do not plan weddings, births or vacations June 11 to July 11”. The Olympics is really the only other sporting event that would rival it for supremacy, but in this writers opinion, it’s not even in the same ballpark, or should I say pitch. For all of us lucky West Coasters, the first game of the day, at least during the group stages, begins at 4:30 am. The second game is at 7:00 am, and the last, 11:30 am. My plan is to watch the first, and a large majority of the second each weekday before leaving for work. Of course, this will require either a large bit of rearranging of my evening schedule to accommodate an earlier bedtime, or, more likely, a pretty serious lack of sleep. A small price to pay for the love of the game. Yeah, the soccer is going to be great, but here at Beer Blotter, we need beer too. Believe it or not, some local bars will be opening in time for the 4:30 and/or 7:00 games. For those opening for the 4:30 matches, alcohol cannot be served legally until 6:00 am. Having a drink before noon is sometimes considered bad form, something reserved for the problem drinkers. How about 6 hours before noon? At that point it’s almost as though you are still drinking from the previous day! OK, maybe that’s a stretch. Call me a hooligan, but it sounds like a blast to me! I think you get the point. We love the beer, we love the soccer, we love the combo. We also love enriching the community, and if you have ever been in a bar packed with fans, of any sport really, where everyone has their eyes on the screen, waiting on the edge of their seat for the next great flash of athletic brilliance, you know just how powerful that sense of community feels. With that in mind, we would like to offer our thoughts on where to enjoy the World Cup in Seattle, with pint in hand. I must state, for the record, that one should expect that all of these bars will be extremely packed for any and all games. For the biggest games, especially those involving U.S.A, England, Brazil, Spain, Germany, Italy, etc, it is highly recommended that you attempt to arrive early and be prepared to wait in line. Also, do not expect to be accommodated as though you were in your own recliner next to the kegerator at home. The big draw here is the atmosphere. The people. The elation that comes with every Christiano Ronaldo crossover, every Robinho spin move, every picture perfect pass from Cesc Fabregas, and every brilliant finish from Didier Drogba. Don’t be afraid to offer high fives and joyous hugs to people you have never met before when the U.S. pummels England on June 12. Then buy your Brit buddies a few pints of good American craft beer to rub it in. As always, we strongly encourage dialogue. If you know of a great place to watch that we missed, let us know about it. It's going to be a madhouse. 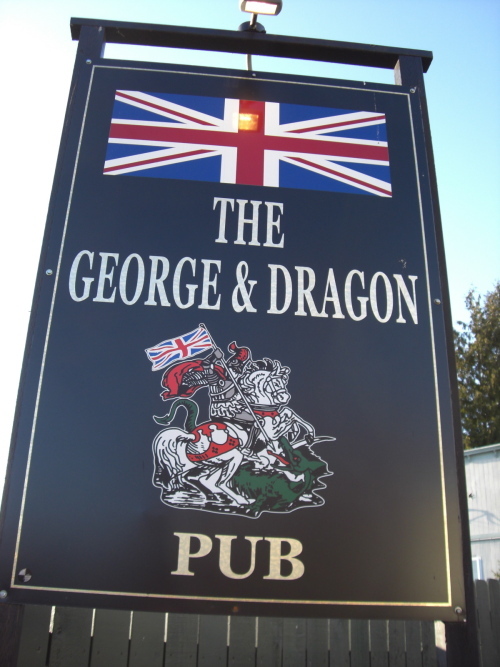 The George and Dragon Pub in Fremont: We might as well start at that great English pub that I have already mentioned, “The George” as it is often referred to as, is a Mecca for soccer fans. A few extra tidbits that we shouldn’t glaze over when discussing The George: They are hosting a World Cup Eve celebration on Thursday after the Sounders game. They have been listed in the top 10 places to watch soccer in the U.S. by the U.S. Soccer Federation and GQ Magazine. The owners are opening up a second location in Ballard called The Market Arms at 24th and Market. They are hoping to have it up and running in time for the start of the tournament. What to drink: If you want to go with a local craft, grab an Elysian Immortal. If you want to drink like a Brit, grab a Fuller’s ESB. Fado downtown: Though this is a chain, the Seattle pub was named the “Best Soccer Bar in the Country” last year by the U.S. Soccer Federation. It’s an Irish themed place, but since the Irish failed to qualify for the tourney, expect most to favor the only U.K. team in it, England. What to drink: You are in Ireland town, grab a Guinness. All Nations Soccer Bar in Bitter Lake: This place is kind of in no man’s land up north of Northgate, but it’s worth a visit. All Nations is a South American themed soccer bar, so check this place out for the big Brazil or Argentina matches. What to drink: Grab a Xingu from the bottle. It’s a delicious dark lager from Brazil. Azzurri Vino Bar in Fremont: This is a fairly new Italian themed soccer centric bar nearly directly across the street from The George. The Center of the Universe is going to be hopping with soccer junkies. What to drink: When in Rome… a Peroni. Kells Irish Restaurant & Pub downtown: This is another Irish pub with a strong reputation for taking care of the soccer fans. Eat, drink, cheer, get rowdy and take the party into the alleys of Pike Place Market. The Attic in Madison Park: A quick click over to their homepage will surely give you a strong inclination of just how excited they are for the WC. Here’s hoping that the folks over in Madison know how to get down. What to drink: Boundary Bay IPA is on the draft list online right now. That’s a damn good IPA! 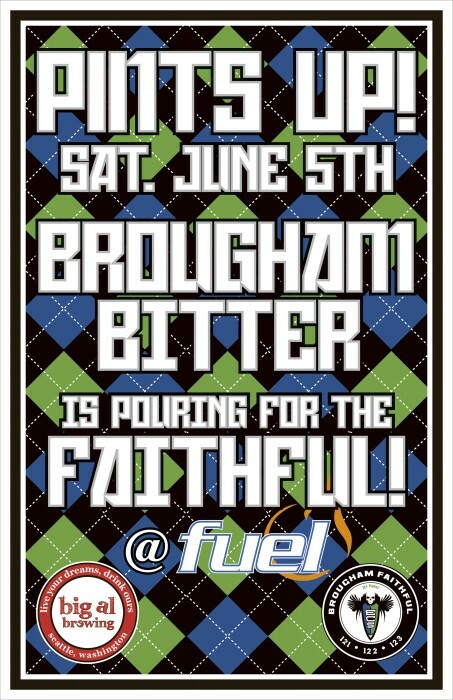 Fuel downtown: This is a major Emerald City Supporters hang out, so we can assume they will be keeping the regulars happy with plenty of WC coverage. What to drink: Ask if they still have some Big Al Brougham Bitter. Atlantic Crossing in Roosevelt: Yet another Irish pub with soccer on the mind. It looks like they are only opening in time for the 7:00 games when the U.S. is involved, but they will be showing the replays each night on taped delay. What to drink: Start up your session with a Harp. Cafe Presse in Capitol Hill: This is a small, French themed joint. If you are looking to get out of the house to catch a game but want a more laid back atmosphere, this is your place. What to drink: How about something French. Tilt back a Kronenbourg 1664. 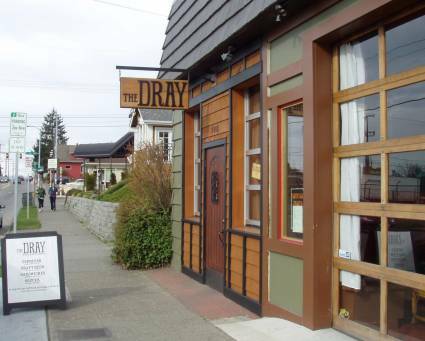 The Dray in Phinney: If you read our site, you know we love the Dray with all of our hearts. If you want a great beer selection, hot espresso, soccer, and a cozy atmosphere, this is your place. What to drink: One of the best parts about The Dray is that, though the draft selection is fairly small, it’s one of the most cleaver in the city. Close your eyes and point at the board behind the bar, you won’t be disappointed. Brouwer’s in Fremont: The great Belgian Cafe of Fremont is pretty much beer heaven. As it turns out, they like soccer too. Their site states that they will be playing several of the games with the sound on during normal business hours. What to drink: Are you kidding me? You don’t need help with this one. Die BierStube in Roosevelt, Prost! in Phinney and West Seattle, Feierabend in South Lake Union: These German pubs are all owned by the same folks and are pretty similar in a lot of ways. Two of those ways come in the form of good German beer and a strong love of soccer. Germany games should be a blast here. What to drink: Paulaner Salvator, by the liter. Elysian Fields in Pioneer Square: With its proximity to the stadiums, this place is a great pre-Sounders/Mariners/Seahawks game stop. But you know what, it’s a decent place to watch a game as well. It’s an even better place to get a beer. Their site has a calendar of what games will be played when. It looks like they will be opening at 6:30 am for select games. What to drink: Ask about what’s new and exciting. There is always something new and exciting at Elysian. Kangaroo and Kiwi in Green Lake: Quite obviously, this is an Australian bar. Aussie football and rugby are normally the main attractions here, but the Soccerroos made the tourney, so you can expect a wild scene for any of their games. New Zealand games have the potential to be interesting as well. If things go sour, you can always walk up the street to either Duck Island, Uber, or the next destination on our list for a tasty bit of boozy relief. What to drink: Tilt back a Cooper’s and make like you are down under. World Cup starts tomorrow. You win a free shot for every goal Scotland scores or any goal scored against England. Good luck. This is quite humorous. With English defender Rio Ferdinand out with an injury, I’m inclined to catch an England match here and sip up some free shots. What to drink: St. Andrew’s has one of Seattle’s biggest scotch selections. Order one and drink slow. Some other notable sports bars that could offer exuberant celebration include Spitfire, Fox Sports Grill, Sport, Paddy Coyne’s, and The Dubliner. And finally, filed under “miscellaneous”, Nord Alley near Occidental Park has the potential to offer some interesting outdoor viewing experiences. Check out this link for more details. Enjoy the world’s greatest sporting event while it lasts, for it will come and go before you know it, and then it’s another grueling 4 years of waiting.